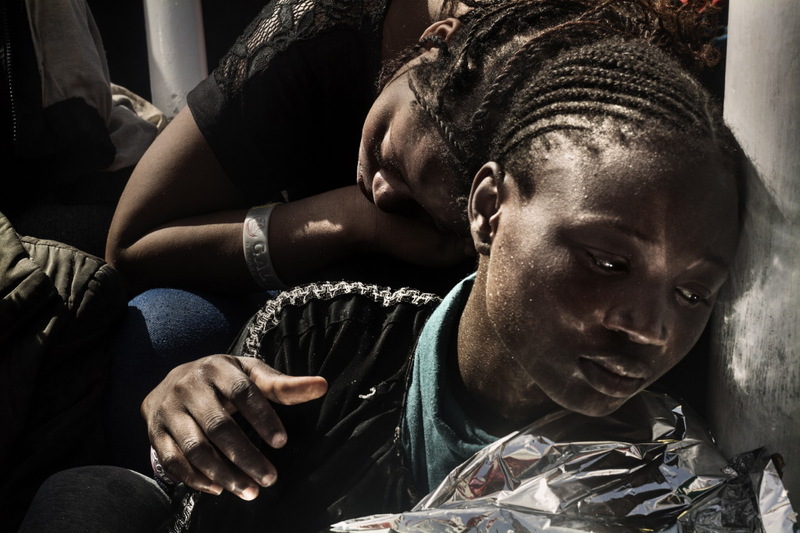 Infants, unaccompanied children, pregnant women, people stunned by the journey. 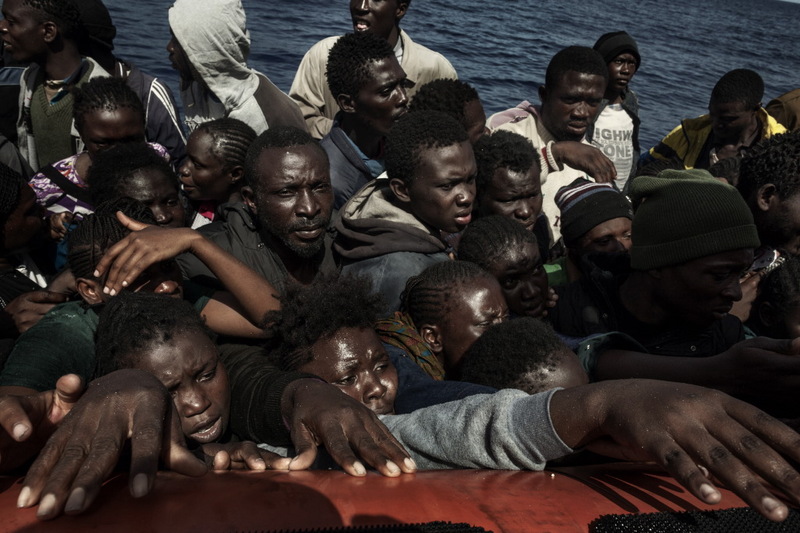 Here are the unwilling participants in this latest wave of landings. 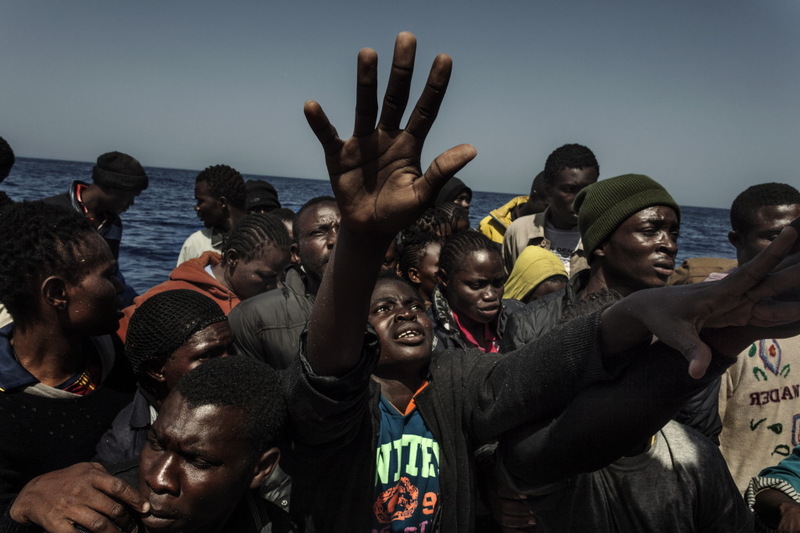 They come by the thousands, every week, from the coast of Libya, taking advantage of favorable weather conditions, to reach Europe. 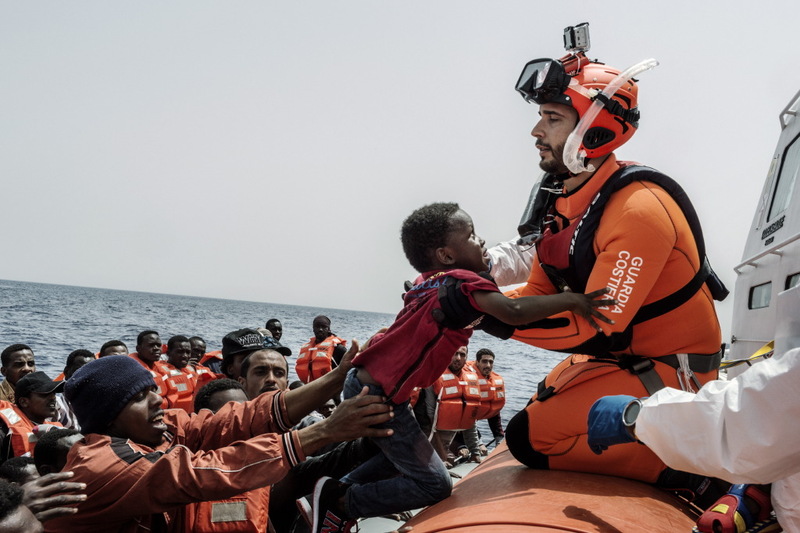 But there is a tragedy in the tragedy: on one hand some make it, saved at the last moment by the rescue operations of the Italian Coast Guard, on the other there are many who are swallowed by the Mediterranean waters. 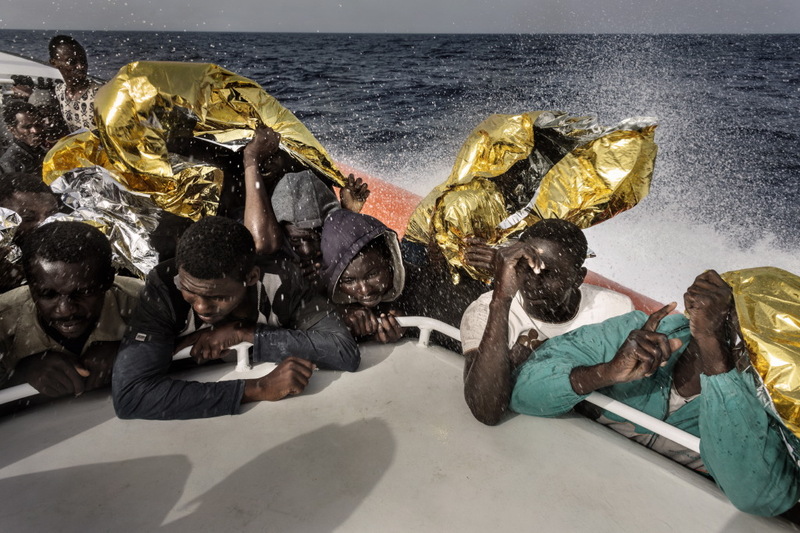 The photographs by Luca Catalano Gonzaga tell the different phases of rescue, from the initial sighting of the damaged boat , often crammed beyond belief, to the delicate phase of approach when the risk that the boat will tip becomes higher because of the frightened people trying to get to safety destabilize the entire structure. But most of all they collect the painful and at the same time hopeful looks of men, women and children looking for a life worth living. (text by Sebastiano Caputo). Mediterranean Sea, Italy. 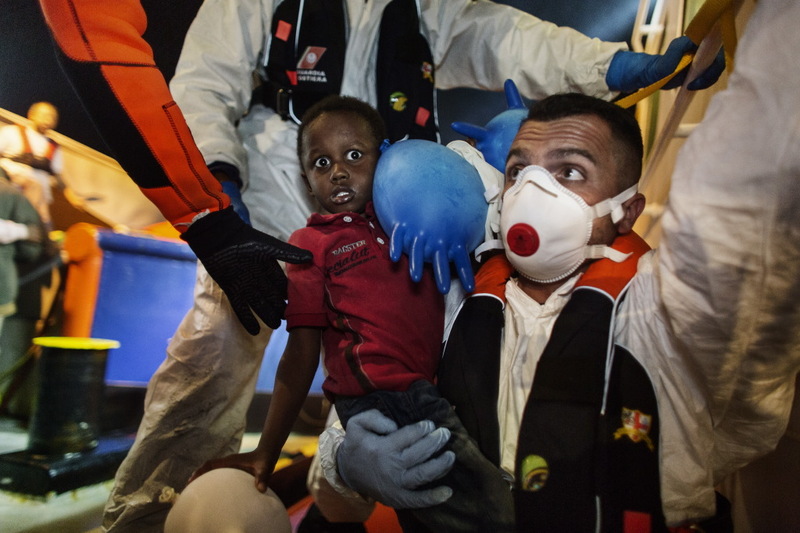 Tomas, who is fleeing from Eritrea, is saved by the Italian Coast Guard. 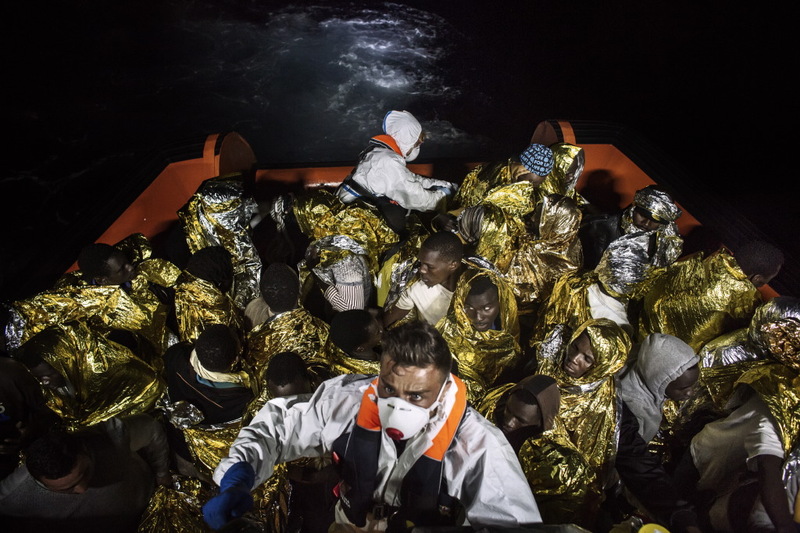 He was on board a dinghy together with other 450 migrants. Only 96 of them have survived. Tomas lost his brother, his wife and 2 children. Mediterranean Sea, Italy. 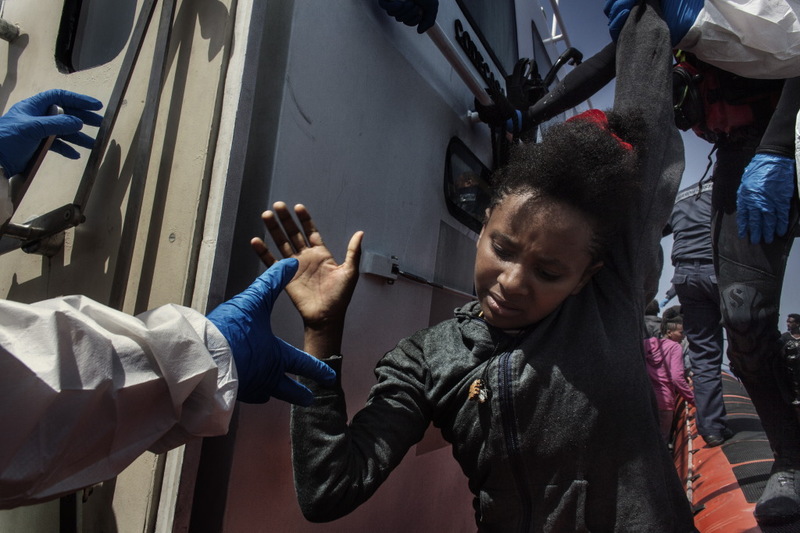 A young woman is rescued on an Italian Coast Guard Series 300 cutter. Mediterranean Sea, Italy. 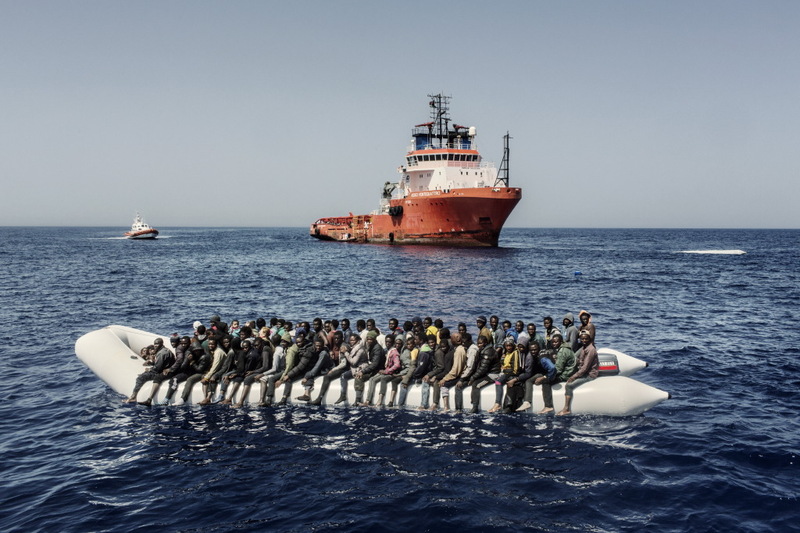 Desperate migrants on a crowded dinghy. Mediterranean Sea, Italy. 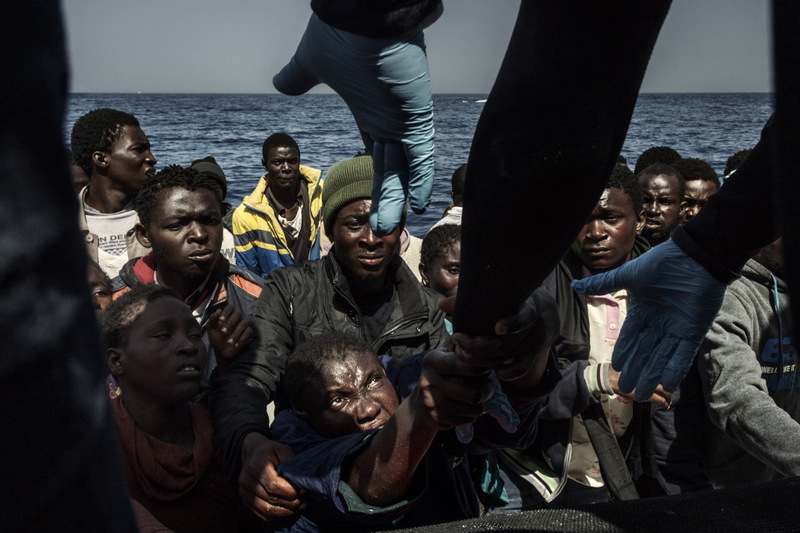 150 migrants, the majority of which are Africans, wait to be rescued and transshipped from the dinghy on which they’ve arrived to the Series 300 Italian Coast Guard cutters. Mediterranean Sea, Italy. 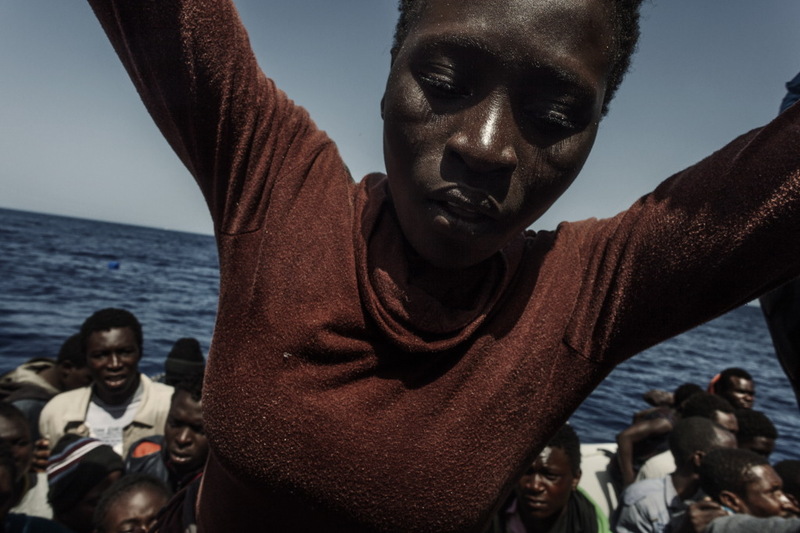 The delicate phases of the transshipment of 150 migrants from the dinghy to the Italian Coast Guard Series 300 cutters. Mediterranean Sea, Italy. 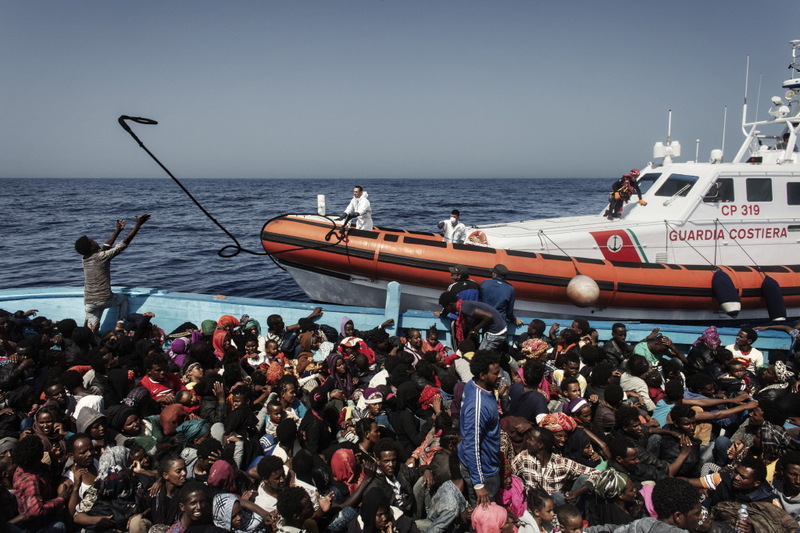 The migrants are transshipped to the Series 300 Italian Coast Guard patrol boat. Mediterranean Sea, Italy. 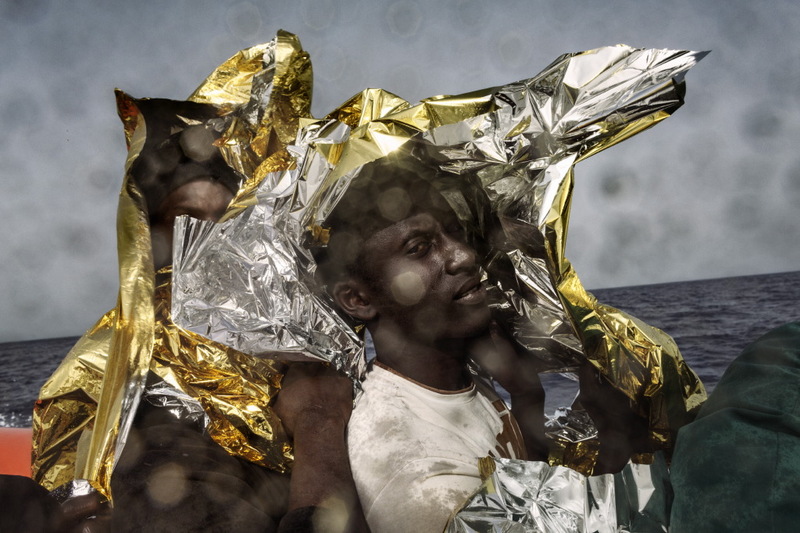 A dinghy with about 450 people on board sank at the first light of dawn. 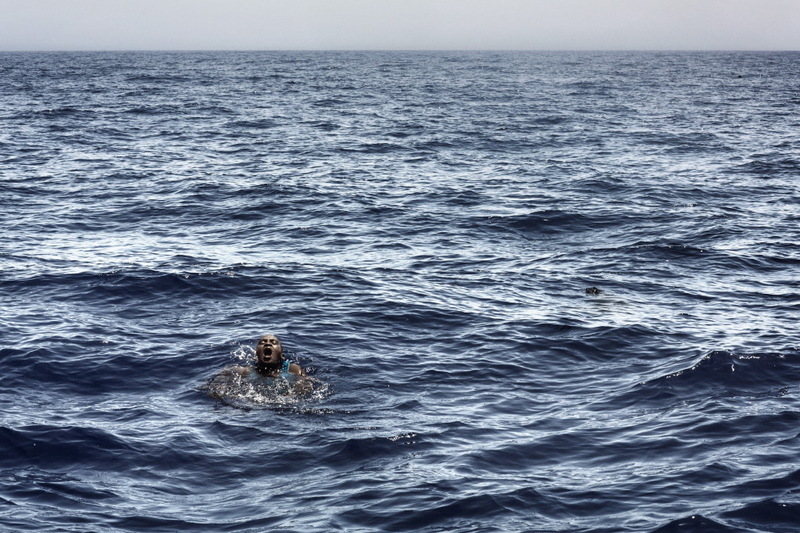 Only 96 people, who remained in water for approximately 5 hours, have been saved. Sono state tratte in salvo solo 96 persone. Mediterranean Sea, Italy. 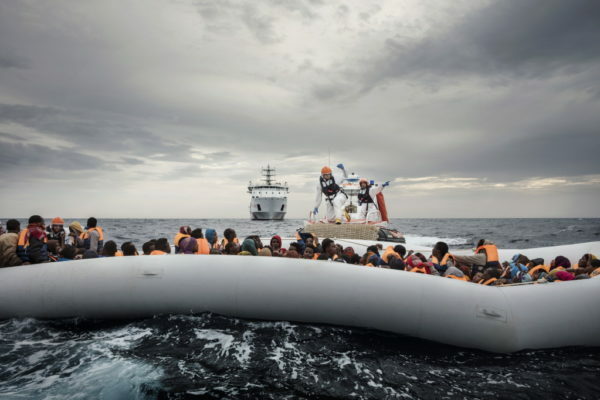 Two Series 300 Italian Coast Guard cutters are about to transship approximately 300 migrants from a dinghy coming from the Libyan coast. Mediterranean Sea, Italy. 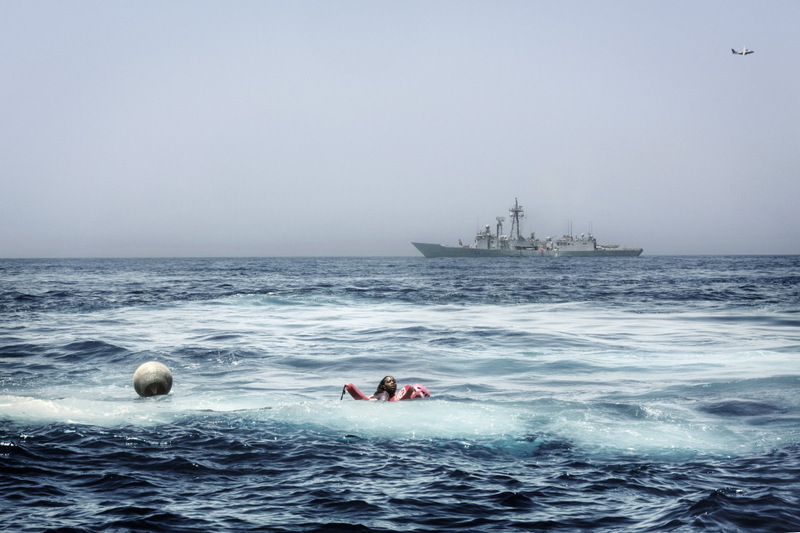 Italian Coast Guard rescue operations. Mediterranean Sea, Italy. 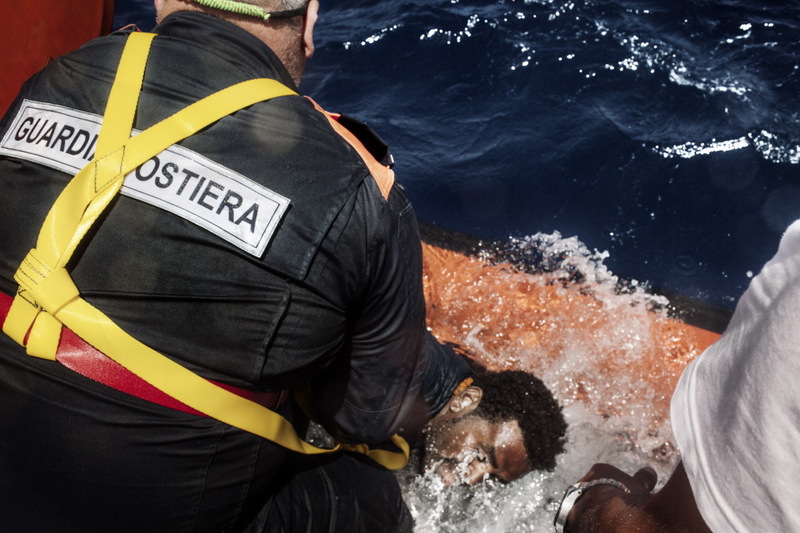 This dinghy, with approximately 150 migrants on board, has just been identified by the Series 200 Coast Guard vessel. Mediterranean Sea, Italy. 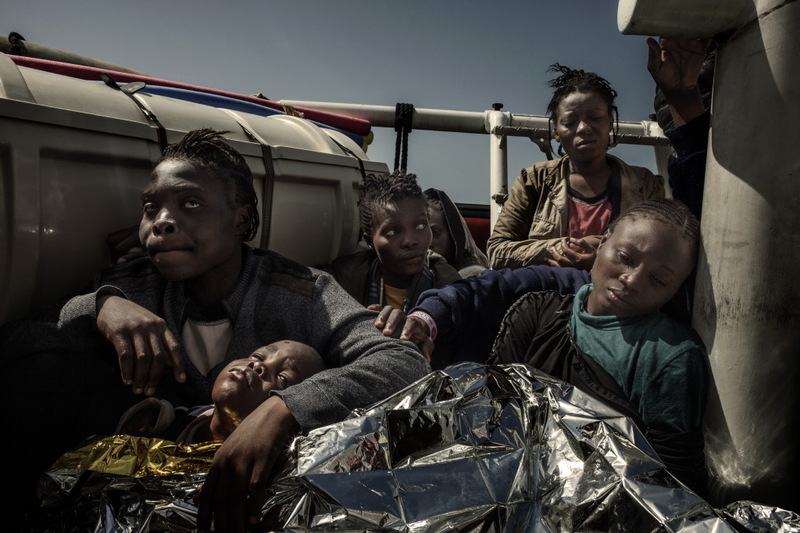 Migrants exhausted from the crossing on the Italian Coast Guard cutter. Mediterranean Sea, Italy. 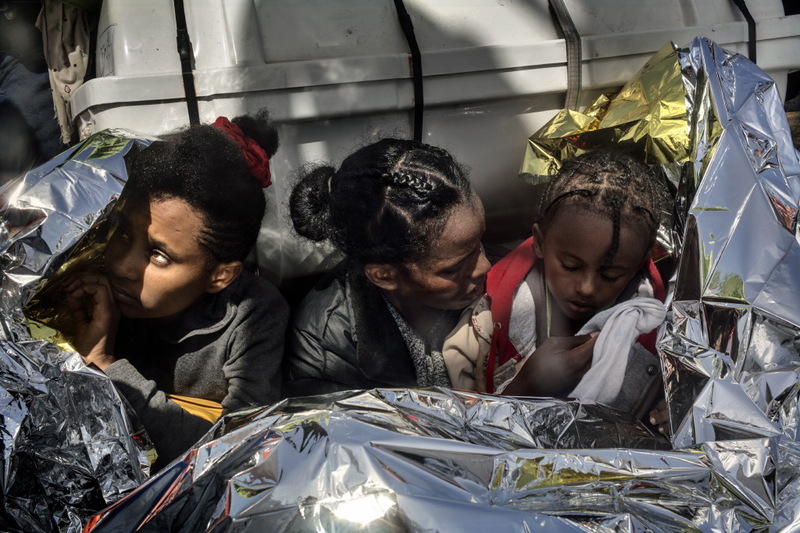 The personnel distribute life vests to the migrants in case the dinghy, now floating adrift, would sink before the Italian Coast Guard light vessels arrive. Mediterranean Sea, Italy. 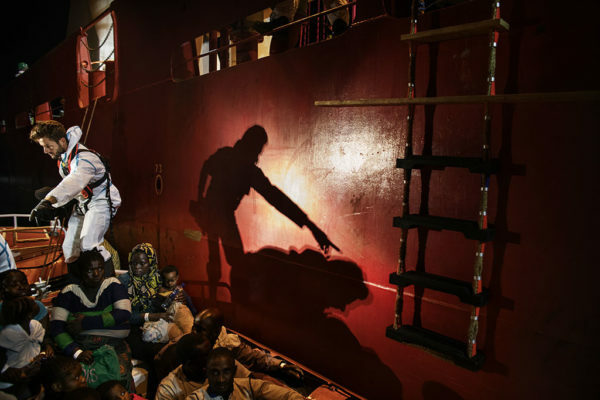 Travelling at night before the transshipment of the migrants to the Doctors Without Borders NGO’s vessel, headed to Sicily. Mediterranean Sea, Italy. 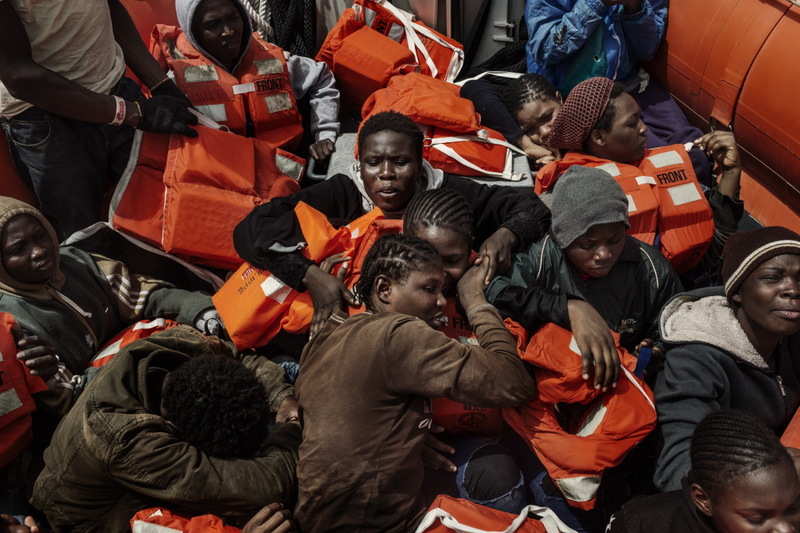 Travelling towards Lampedusa on the Series 300 Coast Guard cutter. classe 300. Mediterranean Sea, Italy. Travelling towards Lampedusa on the Series 300 Coast Guard cutter. Mediterranean Sea, Italy. 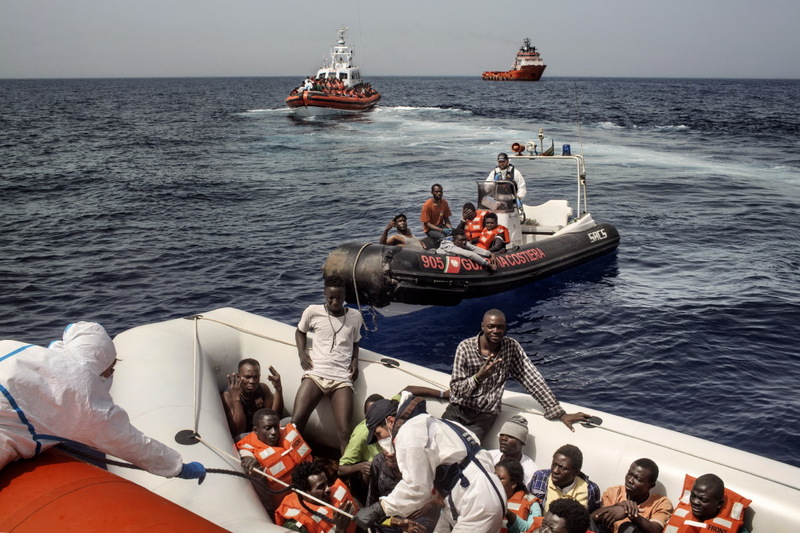 Migrants have just been rescued by the Series 300 Coast Guard cutter. Mediterranean Sea, Italy. 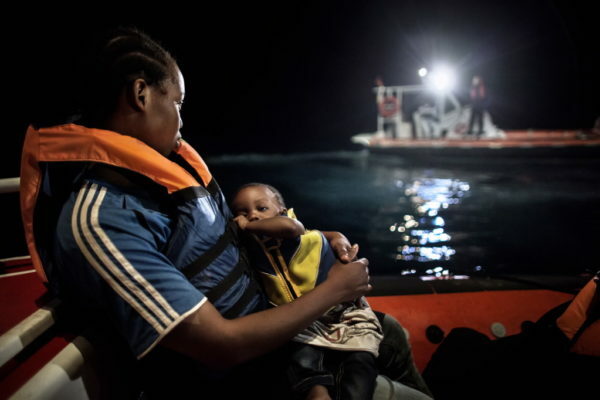 Children are saved first, than women and lastly men: the difficult moments of the transshipment to the Series 300 Italian Coast Guard cutter. Mediterranean Sea, Italy. 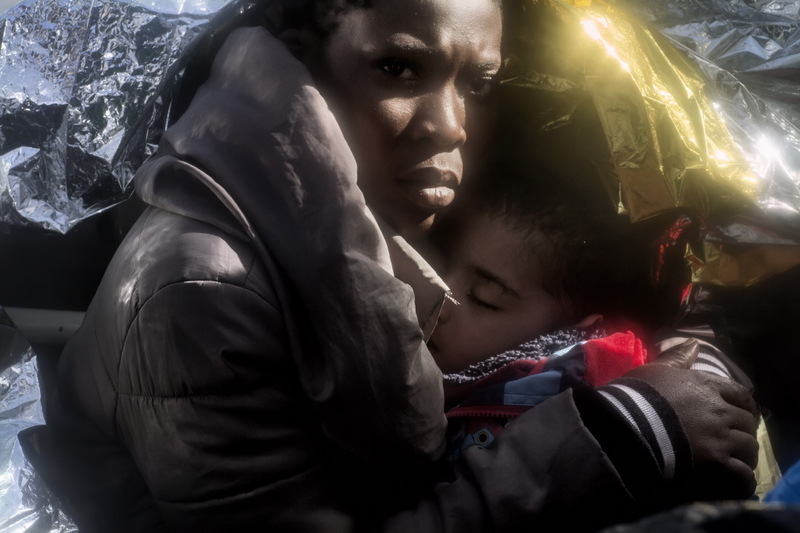 This child is about to board the MSF ship. 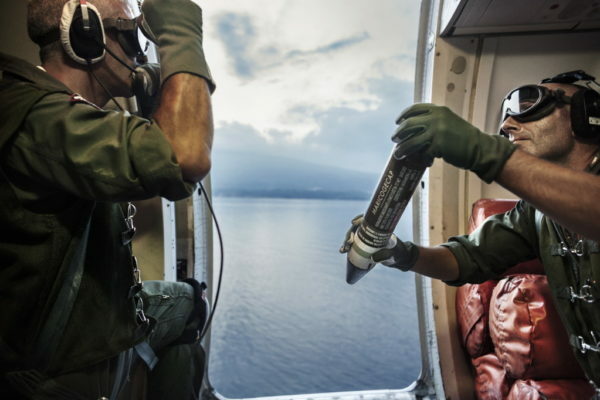 He brings a balloon made from a latex glove used by the rescue personnel. Mediterranean Sea, Italy. Mediterranean Sea, Italy. 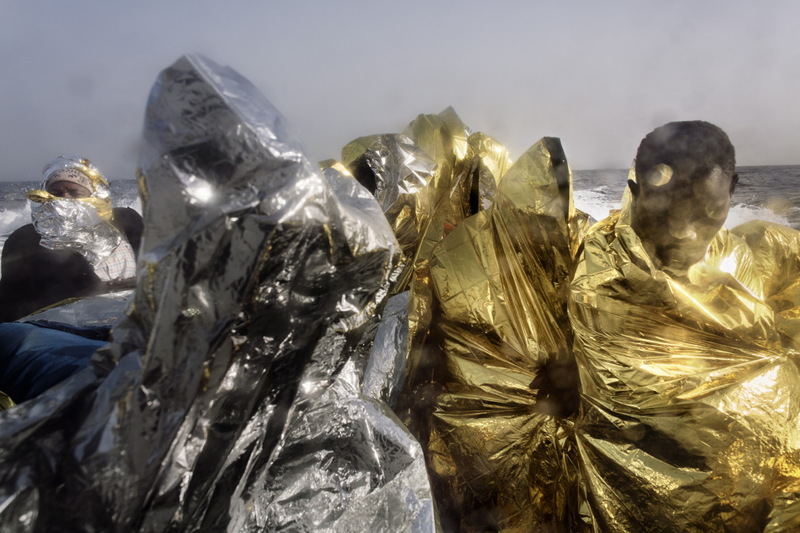 Migrants exhausted from the crossing on the Italian Coast Guard cutter. Mediterranean Sea, Italy. 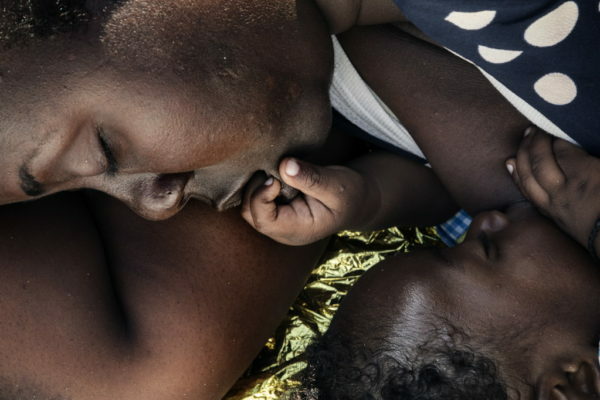 An exhausted mother and her child on board of the Italian Coast Guard Series 300 cutter.